1. 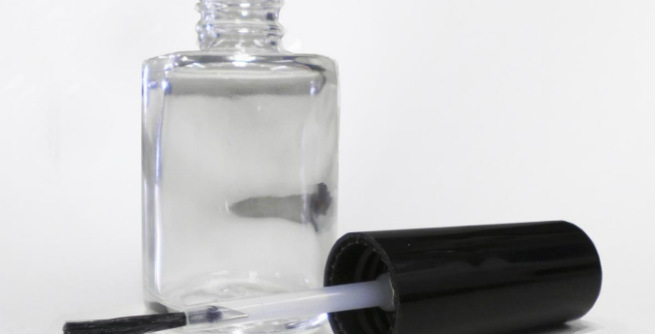 A loose screw can be tightened up and made more durable with the help of a clear nail polish. All you need to do is to coat the screw with the polish and let it dry to get that extra hold. 2. Restore the shine and sparkle of your costume jewelry by applying a clear nail polish onto them. It will help those tarnish marks go away and turn the products like new. 3. Prevent the bottoms of your metal containers from developing rust and leaving hideous stains everywhere they are placed by brushing some nail polish around them and drying it up completely. 4. When it comes to securing the loose buttons on the shirts, nail polish can turn out to be one of the best solutions. 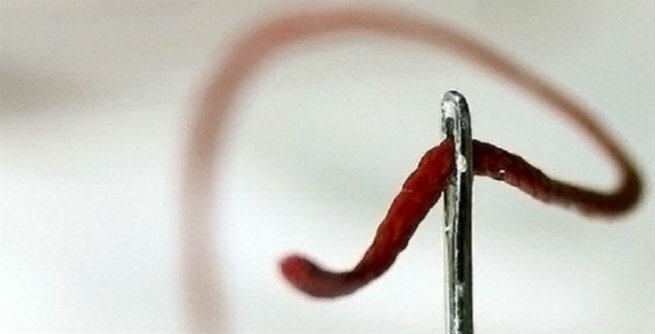 Just coat the thread with a single drop of a clear polish and avert it from falling off. 5. Be it fixing a loose stone on your necklace or attaching different parts of your paper crafts, white and transparent nail polishes can do almost everything regular adhesive or glue does. 6. If you have a transparent nail polish in your collection, there is no need to seal your envelopes by licking the flaps. Simply dabbing a little of it on that gross glue will do. 7. Kick your warts away by using nail polish. Keep applying it to the affected area for at least 1 week and see the difference. Make sure that you use a specific polish for this purpose and discard it after your wart is removed completely. 8. Nail polish can make threading the needle much easy for you. Dip the end of the thread into the bottle of the polish and let it dry. As it turns stiff upon drying, your task of putting it through the eye of the needle becomes painless. 9. From fabric to shoelaces to rope, nail polish can help you stop everything frayed from separating or unraveling. Brush the frayed portion with a transparent polish, twist it well and then leave it for the whole night. You will find it absolutely set in the next morning. 10. If you have broken the lenses of your eyeglasses accidentally and are unable to visit the optometrist at this instant, give nail polish a try for sealing them temporarily. Brush the polish over the crack and wait until the pieces hold together. 11. Sometimes, we get minor scratches on the body of our cars, which look very much unpleasant. Find a nail polish of the shade similar to your vehicle and cover the gashes by brushing them with it. 12. Use nail polish to seal some of the holes on the lid of your salt shaker so that next time, you do not end up sprinkling a lot more than you need.